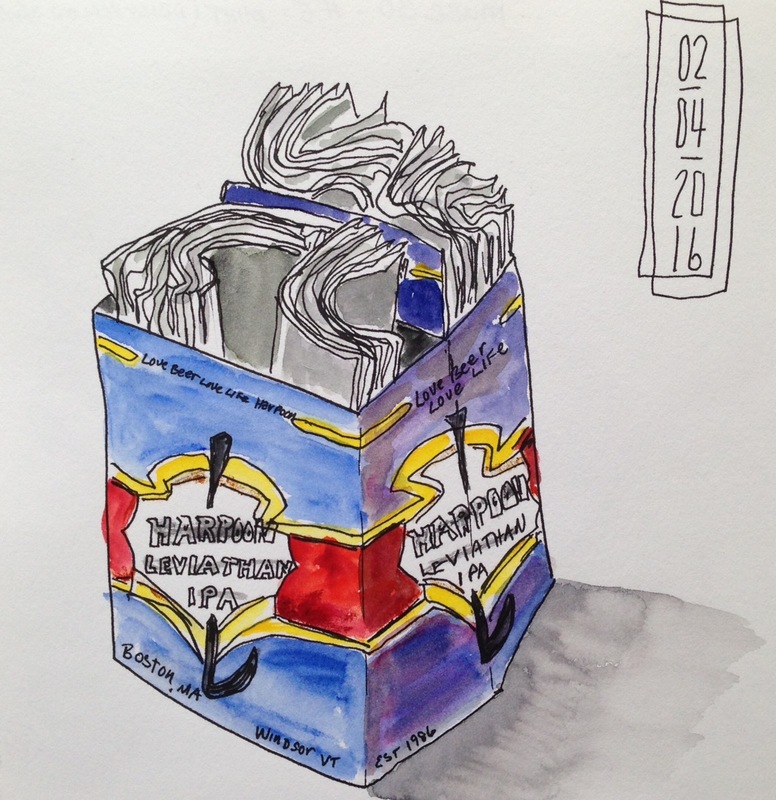 As the year closes, I spent yesterday paging through my six sketchbooks encompassing 2016. 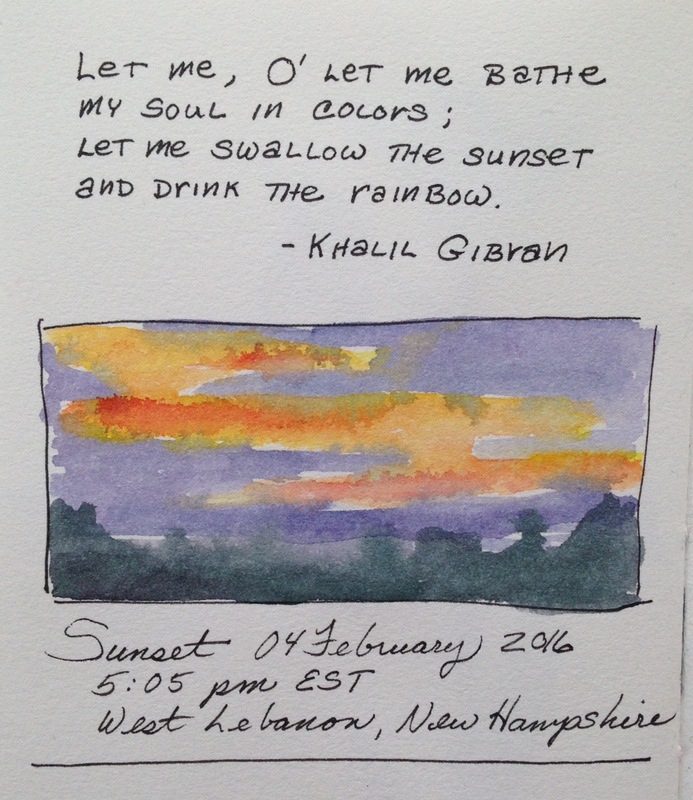 I was inspired by two of my favorite sketch bloggers, Suhita Shirodkar of Sketch Away and Tina Koyama of Fueled by Clouds & Coffee, for their posts featuring the year’s top highlights. Instead of doing a top 10 retrospective I’ve chosen a previously unpublished sketch from each month. 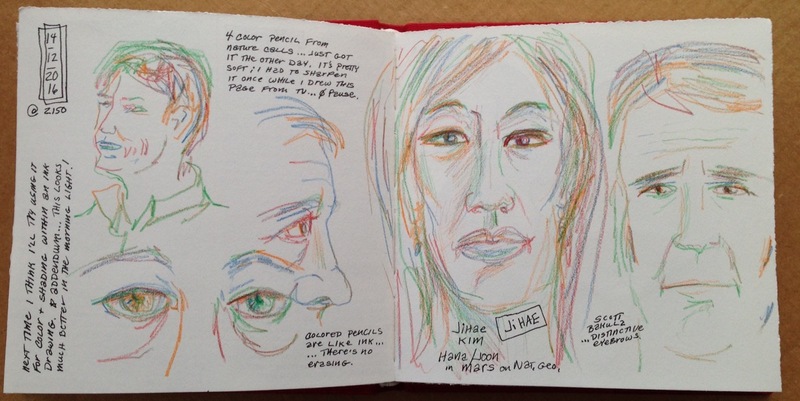 These sketches are examples of my day in, day out journal work. It’s also some of the work I’m most proud of, not because of its quality but because it shows my persistence as I stretch to improve. January: Portrait practice. I go where I know there’ll be a steady stream of victims models. February: View out my back door. Used complementary colors and didn’t get mud! 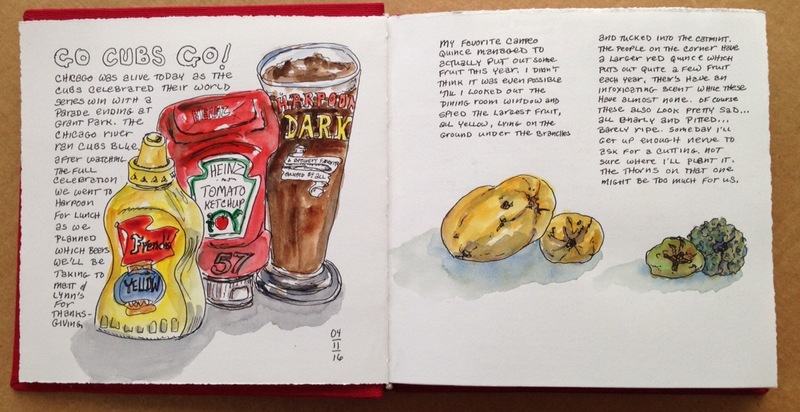 March: Right place, right time with sketchbook at hand. April: Working on the folds of those paper napkins. 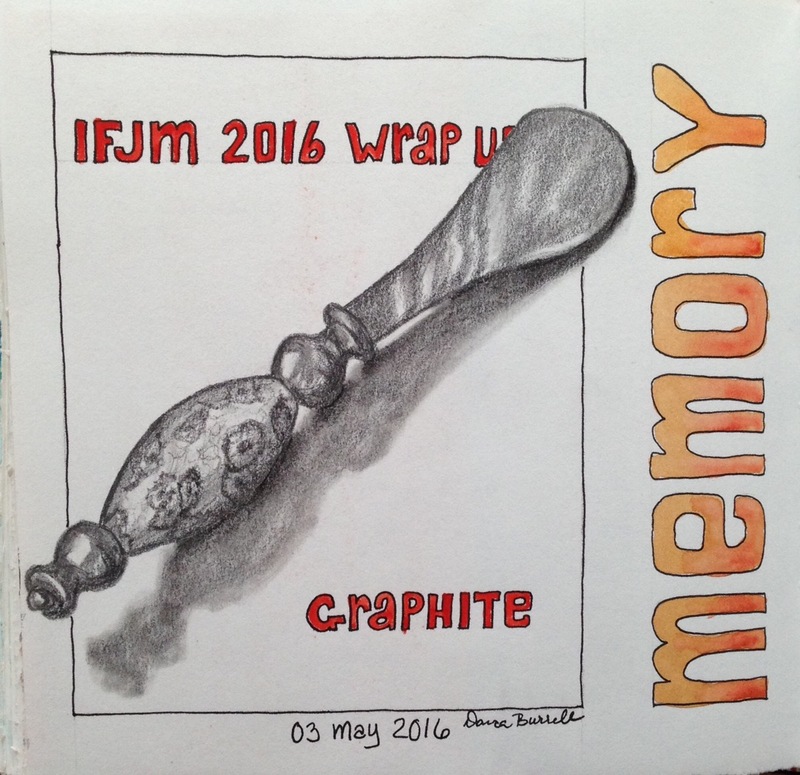 May: Kept a separate journal for my IFJM work – International Fake Journal Month, but wrote my wrap up in this journal. June: Summer outdoor concert series has begun. 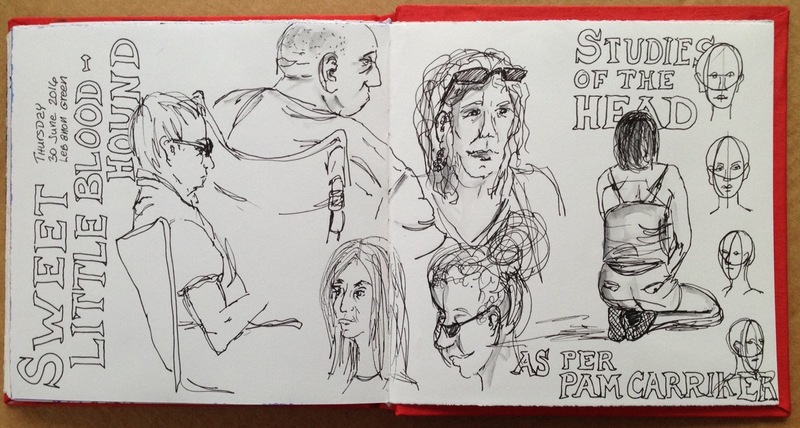 Great people sketching opportunities. 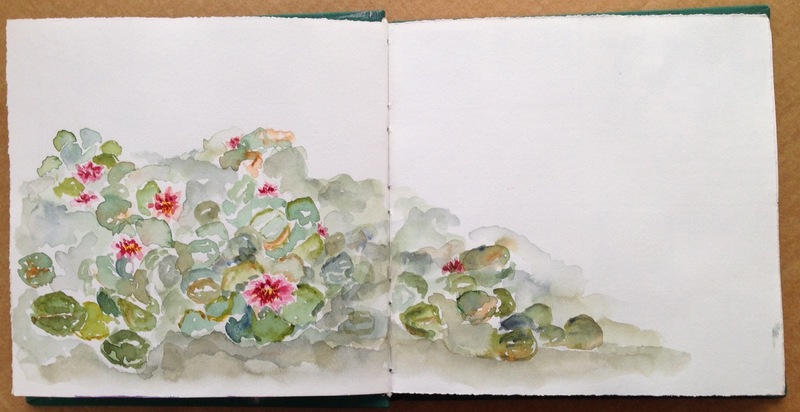 July: Sketched all morning and was on my way home when I saw the pond full of waterlilies. I could have continued but the moment called to me… I stopped. 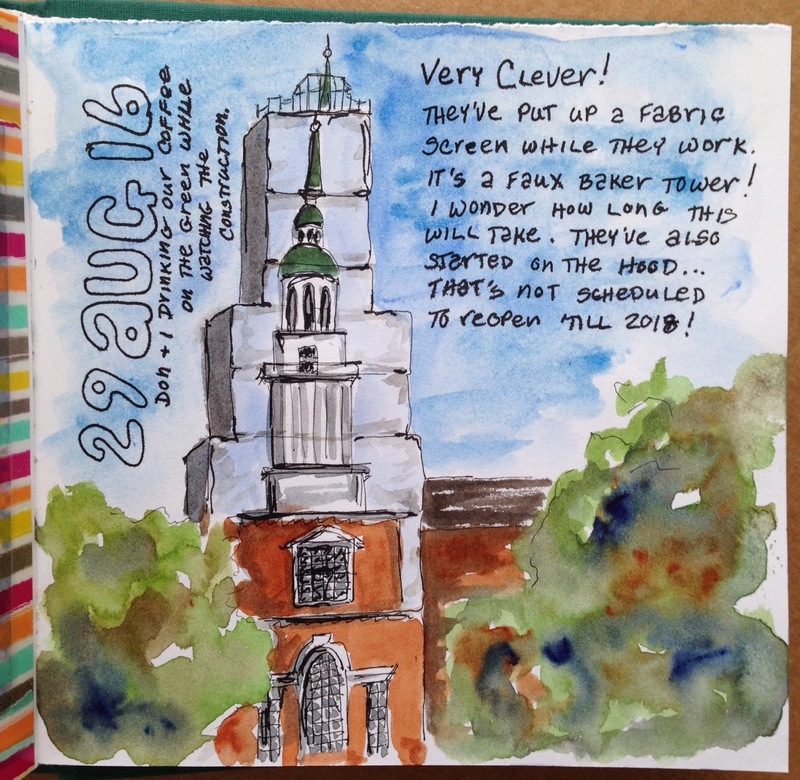 August: They were putting a new copper roof on the library. Documentation time. September: Too many people in line to do more than put a few lines down on paper. 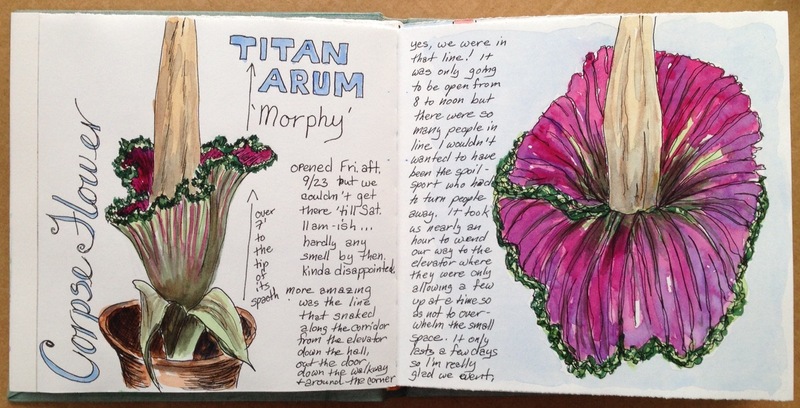 Finished from the greenhouse web cam… lucky there’s no such thing as smell-o-vision. 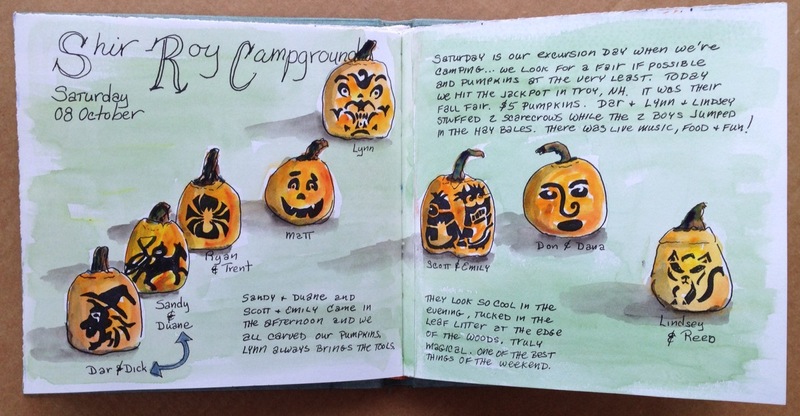 October: Not only InkTober but our annual camping with jack-o-lantern carving. November: Daily documentation. Cubs World Series and autumn clean up. December: Portrait practice from TV as I toy with a kid’s four-color pencil. On to 2017… Happy New Year my friends! 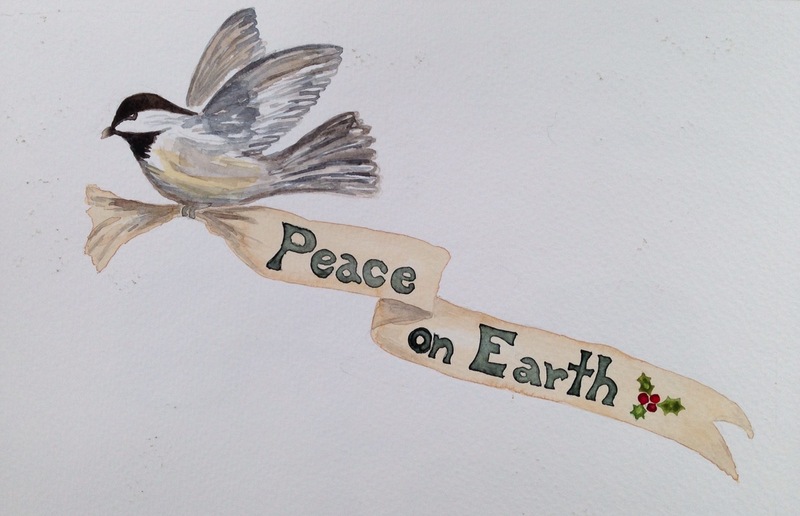 Addendum: Check out Roz Stendahl of Roz Wound Up for another great year-end wrap up. So what’s a double fold out called? It’s when both the right and the left pages fold out and you feel as if you’re going through the gate to the scene beyond. That’s what I wanted to achieve here, but first I needed to deal with the closed spread. 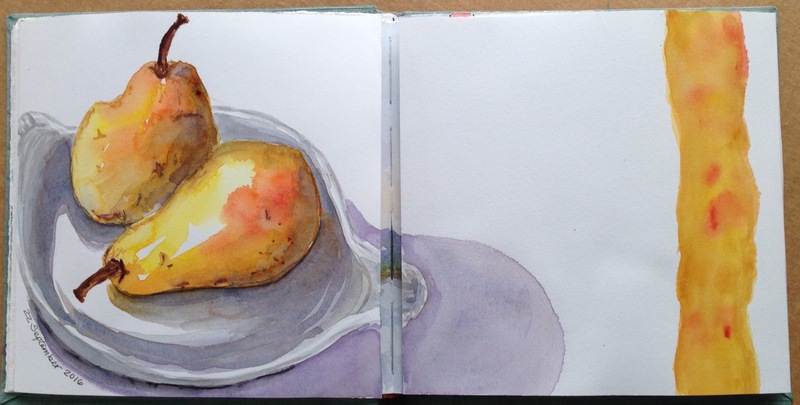 When all other ideas elude me, I paint my favorite models… pears. I love how the plate and shadow bleeds off the spread and how the border stripe echoes the pears’ coloration. But now it was time to tackle the fully open spread. When totally opened it measured 32 inches across, so wide that it was too daunting for me to just simply dive in. 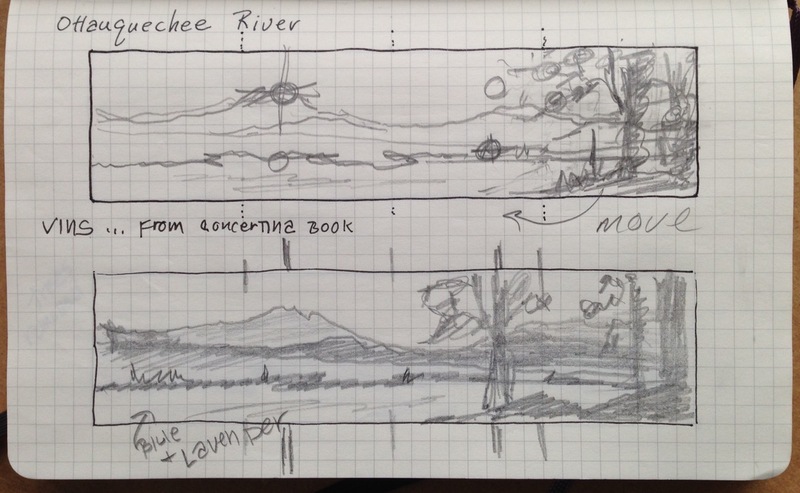 I took out my gridded notebook for some planning, and of course, more thumbnails. I didn’t use any of these designs but you can see how I calculated the best focal points using the rule of thirds. I mined one of my previous sketchbooks for a suitable landscape and as I painted I placed the skyline to blend with the edge of the plate. I may have been overthinking it but it turned out well. Now that it’s done I’ve thought of a few other ways to handle a gatefold. Maybe next time I’ll handle each of the 4 panels separately, but unified by a single theme, like the seasons. 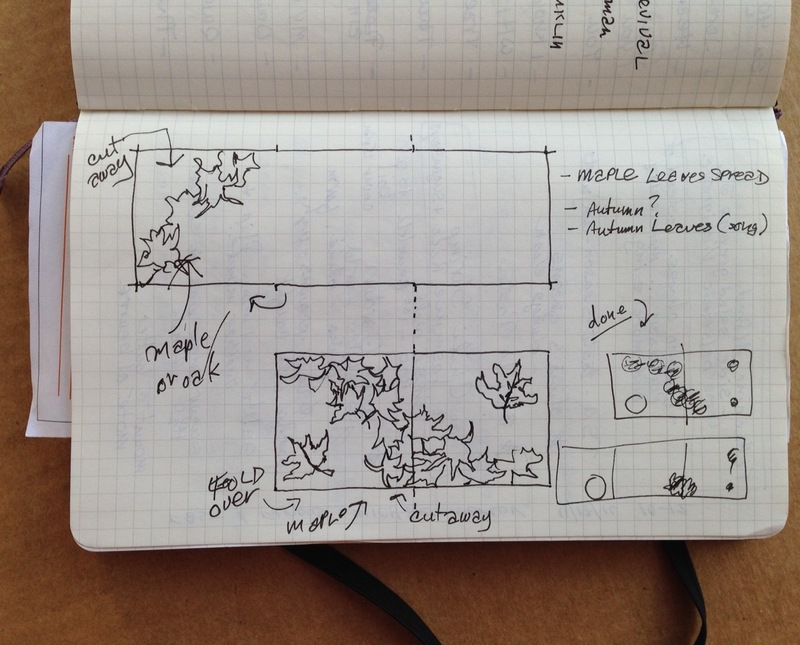 Maybe I’ll draw a progression across the spread, like how a rose bud opens, blooms and finally withers. So many options for me to try next, I know there’s more sketchbook modifying in my near future. 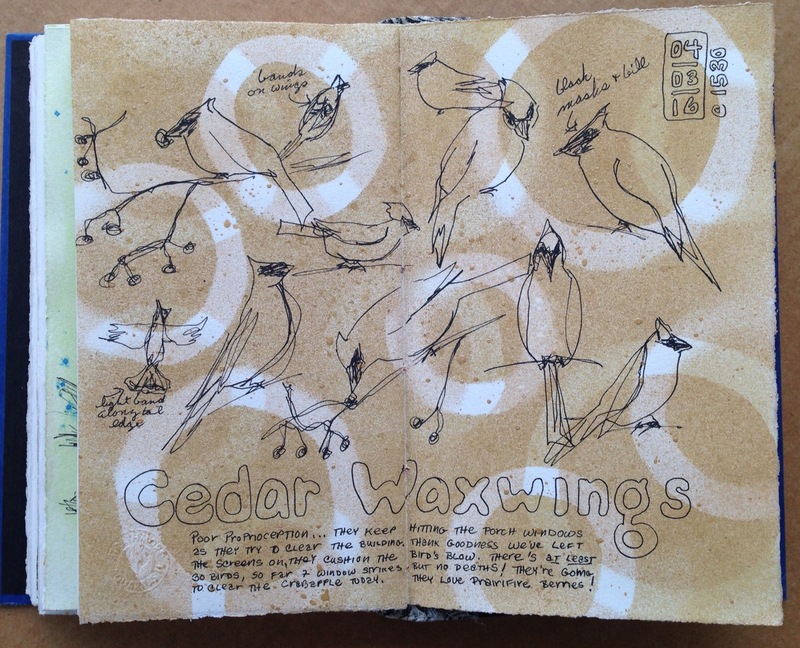 As I continued to work through my latest sketchbook I came upon another one of the fold out pages. I had pasted a few extra fold out pages into my sketchbook never realizing the extent of the design challenge I’d have. This time I had no idea what to do. Days went by, then weeks. Finally I sat down and drew out a few of my ideas. 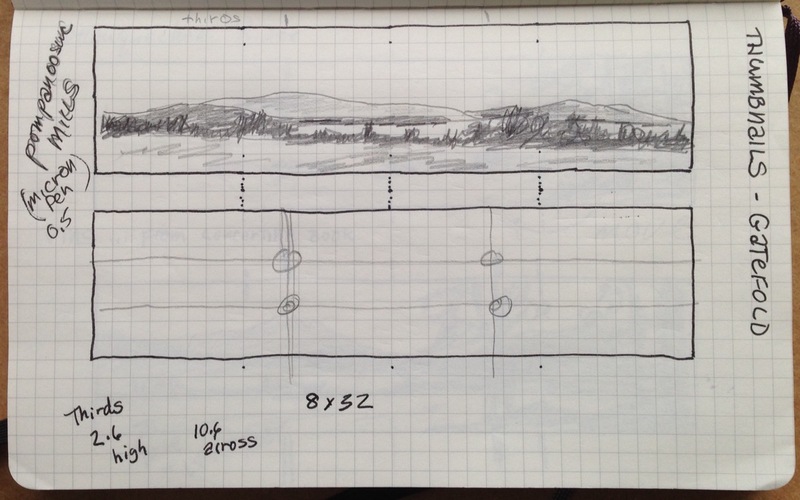 This is the design I decided to use drawn to scale in a squared Moleskine notebook. The very act of drawing the thumbnail design fueled my desire to finally deal with the spread. I drew a few maple leaves, painted the background and cut out a circle instead of cutting around the spiky bits of the leaves as I had originally planned. It’s good to reconsider a questionable plan instead of slavishly following a design that could easily fail. 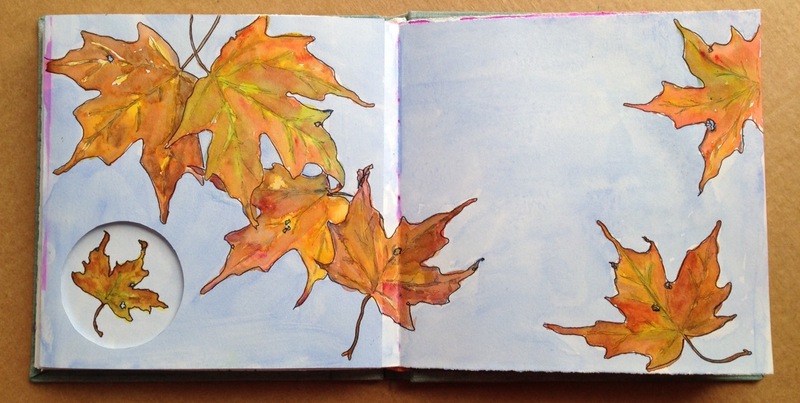 Time to paint those leaves… look! I added a leaf in the cut-out! When the left page is folded out the lyrics to one of my favorite jazz standards, “Autumn Leaves”, are revealed. If I hadn’t taken a few minutes to draw out some of my ideas I would still be looking at these pages wondering what to do. Thumbnail sketches to the rescue! 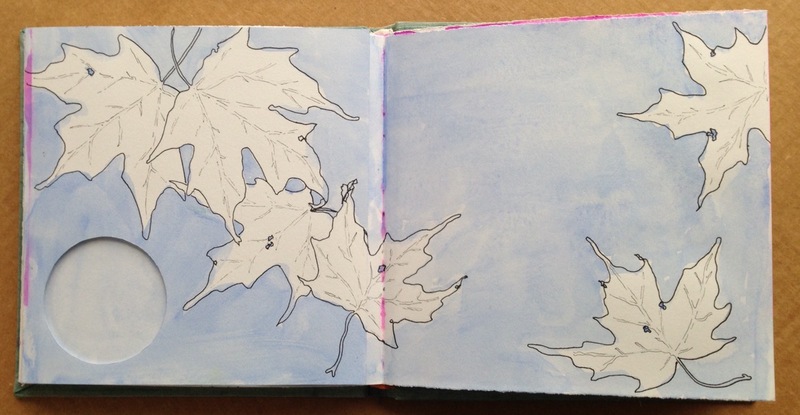 Before we get to the new year which, surprisingly is less than two weeks away, I want to share a few of my sketchbook experiments from the fall. 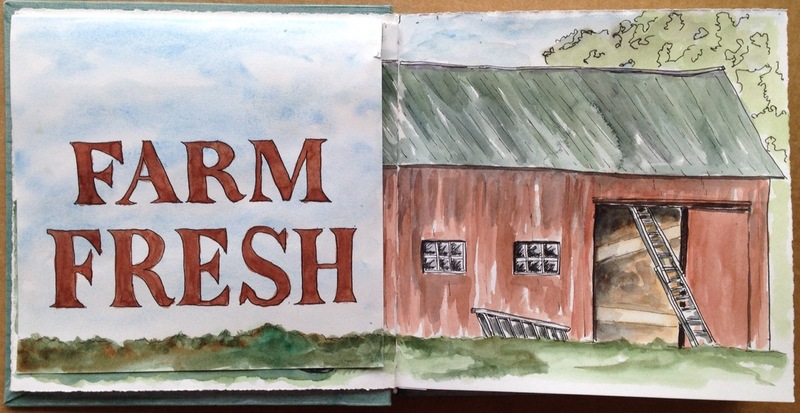 I went to a local farm with a few artist friends and as they spread out to paint the rolling landscape I chose to capture the barn. 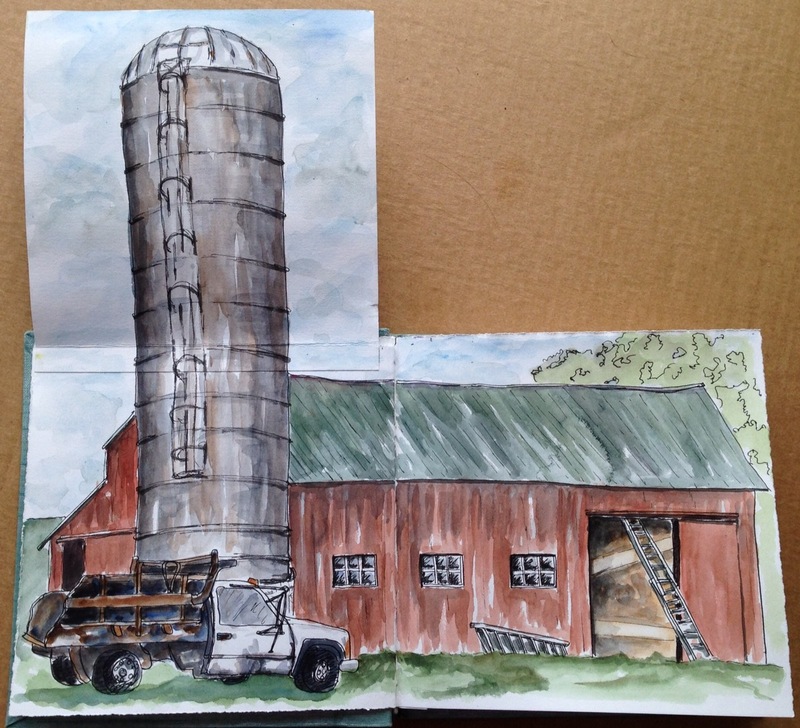 The silo would fit perfectly on the left fold up once the page was expanded. I positioned myself so the truck would be hidden when the page was closed. 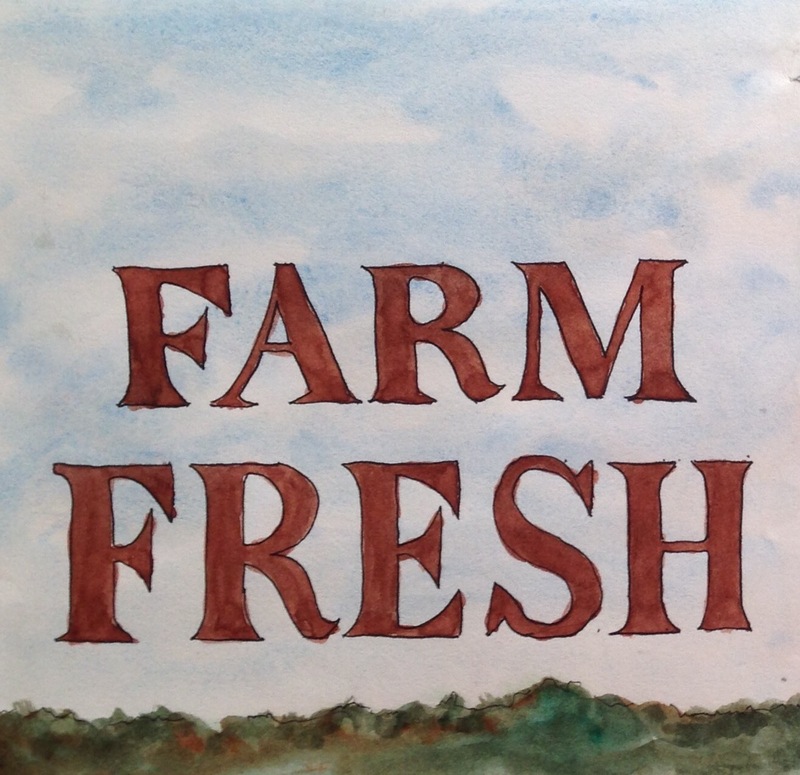 I added some fancy lettering and continued the grass across the base to complete the page. Page size and shape presents different challenges to my sense of composition. I have a few other fold out experiments to share so stay tuned!